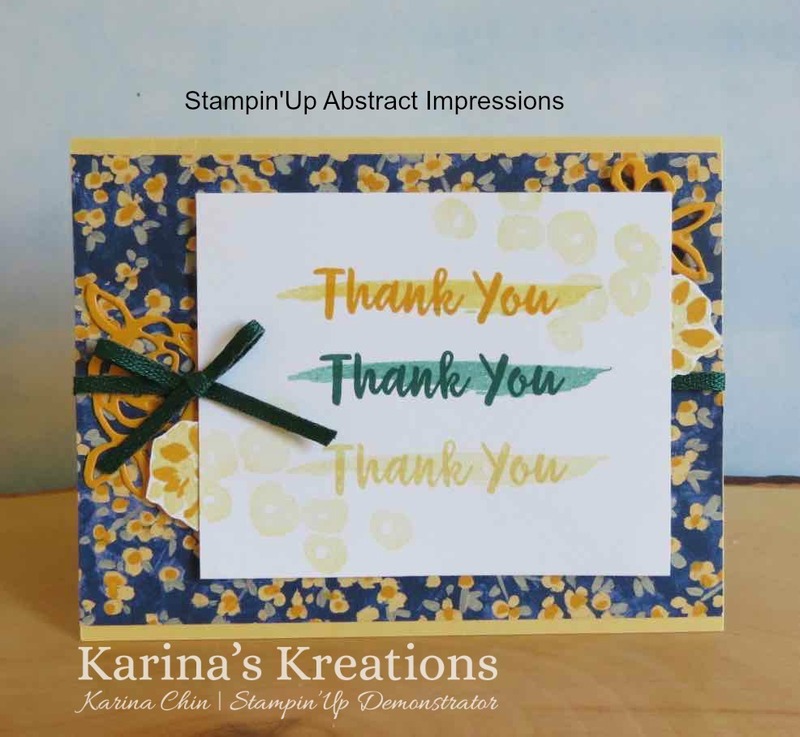 Karina's Kreations: Stampin'Up Abstract Impressions Card! 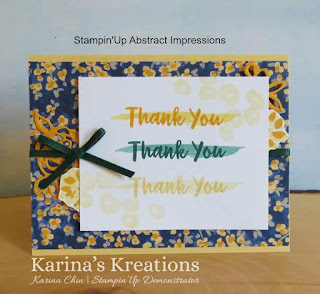 I love the Stampin'Up Abstract Impressions stamp set and coordinating framelits. I'll be offering a card class on July 31 from 7:00-9:00 and you can make this card and a few others. If you want to order supplies for this card please click on a picture below.